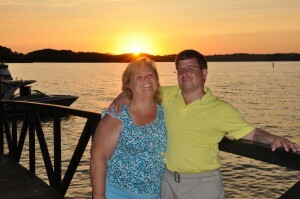 On a picturesque lake in the south of Georgia, live two of the most bighearted and obliging people: David and Rita Scott. This couple, owners of a sensational lakefront house—and all the suitable water toys to go with it—love nothing more than to share their bounty and their home with others. This summer, the Scotts hosted an airman from Florida, appropriately named Scott, his wife, Ruth, and two children: Shawn who is twelve and Caelyn who is seven. Scott is a retired convoy runner who sustained injuries during Operation Iraqi Freedom, which include damage to his knee from multiple explosions, as well as a severe case of post-traumatic stress disorder. Life for Scott is comprised of rehab appointments and rigorous college courses (as he is earning his bachelor’s degree in psychology next month). 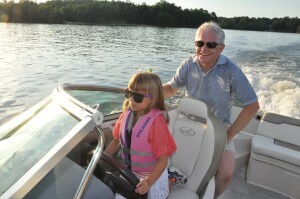 For four days, however, Scott and his family enjoyed their fill of jet skiing, swimming, tubing, wake boarding, boating, fishing … and, in between, a wee bit of relaxing. These wonderfully exhausting summer days were topped off with Rita’s excellent German cuisine and midnight corn-hole tournaments. 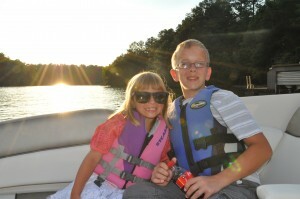 Scott and the kids caught fifteen fish during a thrilling half-day on the water. Their catch included one big’un the size of Caelyn (“Stripers don’t eat seven-year-old blonde-haired girls, do they?” she asked nervously) and another 16-pound prizewinner, reeled in by Scott. 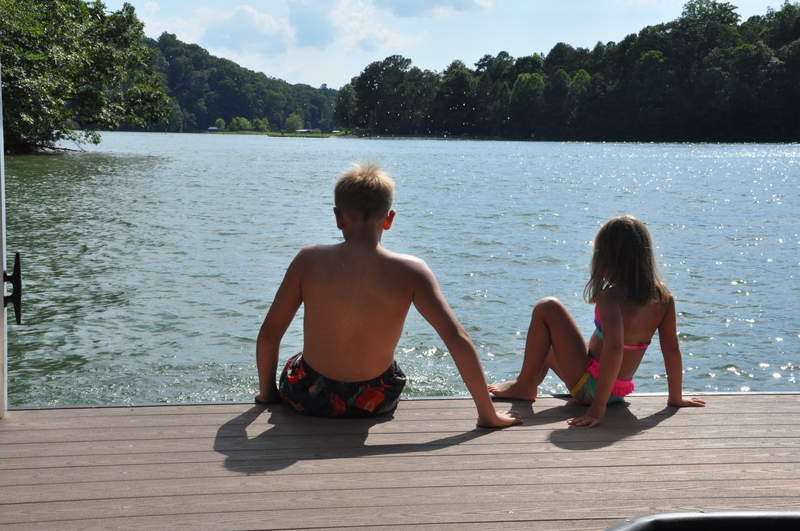 A week on the water, with Southern hospitality, good food, and a few motorized recreational watercrafts, and Scott and his family seemed set. For David and Rita and all of us at Freedom Alliance, we won’t be forgetting them either.